Smooth leather boots with the new arche sole : the rond heel with a graphic line. We love the red zip, the chic detail that makes a style difference. 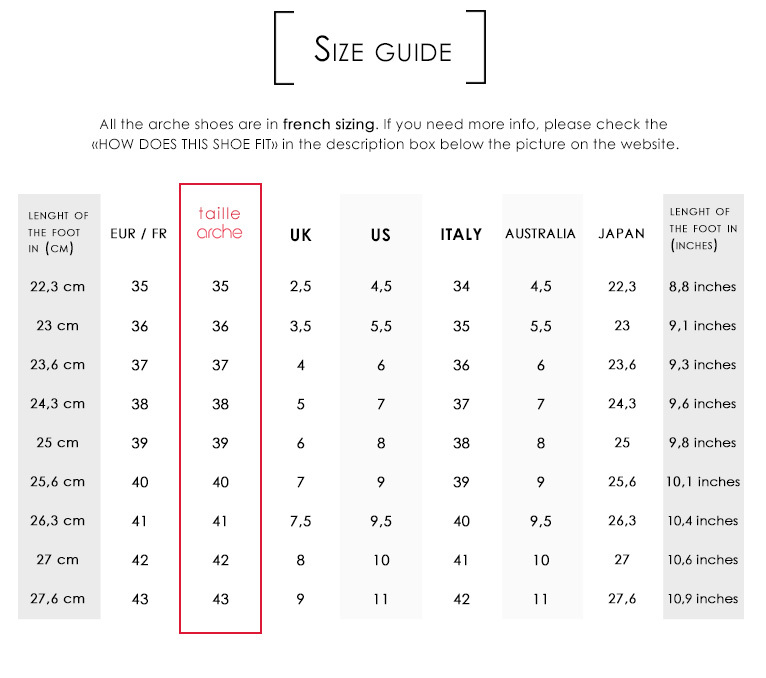 HOW DO THESE ARCHE BOOTS fit? The KERRYA arche ankle boots fits true to size, you can take your usual size. ARCHE COMFORT : Padded cushions insoles for maximum comfort on support points of the foot and a natural rubber sole. MATERIALS : Smooth boots. Rubber Sole. Red side zipper.